The very first yacht built by Spirit in 1993 was a 37’ sloop named ‘Spirit’, which paved the way for the future Spirit portfolio of beautiful, classic wooden yachts. Since 1993, the Spirit 37’ has evolved and developed into varying permutations from a completely stripped out day-racer, through to a fully fitted coastal cruiser, each being individually tailored to the specification of her owner. One thing has remained constant; the skill, quality and care that goes into each design and build. Currently for sale is the Spirit 37’, Whisper, which will be on display on the Spirit stand (Hall 16, Stand B60) at this year’s Dusseldorf Boat Show from 18th – 25th January. Launched in the summer of 2014, Whisper’s clean lines through the water and rich mahogany woodwork stay true to the classic, elegant ‘Spirit style’. 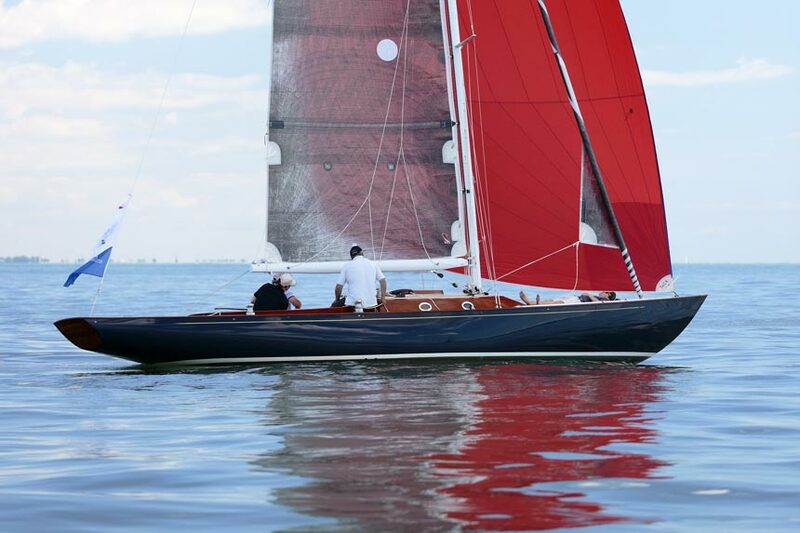 Complete with a full sail wardrobe, including three asymmetrics and three spinnakers and having sailed in the 2014 J.P. Morgan Round the Island race, Whisper is fully kitted out for competitive regatta racing. Also equipped with white carbon mast and boom, Harken winches and Ronstan deck gear, Whisper has been built for uncomplicated leisure sailing as well as performance. As well as the possibility for regatta racing, Whisper is the ideal yacht for cruising in the UK or the Med; port and starboard berths, marine toilet and practical galley offer the option for overnight accommodation as well as day trips. To view a fantastic video of Olympic sailor Iain Percy OBE single handed sailing the Spirit 37’ just click here (courtesy of Alfred Dunhill). To book a private viewing or for more details please email [email protected] or phone +44 (0) 1473 214 715.